I was wondering what the constants in the Michaelis-Menten equation actually mean in experimental data of enzymes. How do I process the data to find Km and Kcat? 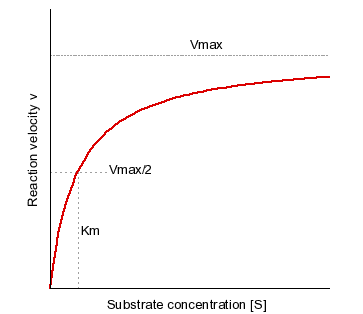 I believe that Kmax is the y-value of the first point in this graph - the initial velocity when the substrate is mixed with the enzyme. 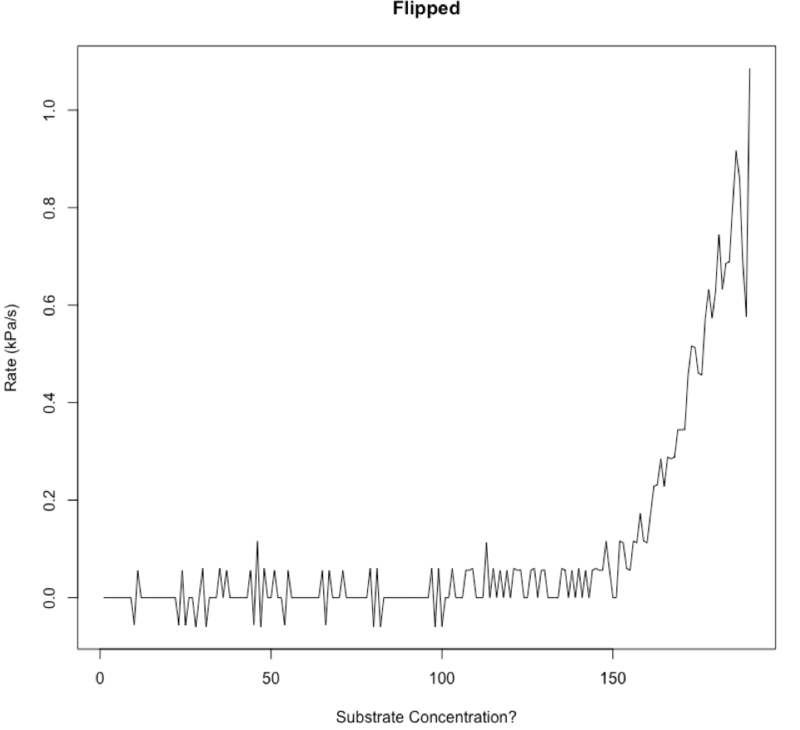 The substrate concentration is at highest at time 0, and the substrate concentration decreases as time increases. What I would have wanted to find is the Michaelis-Menten curve, so that I can also derive the Km and Kcat values. Does anyone know how to do this? Or am I doing my steps wrong? Thank you very much for helping me! 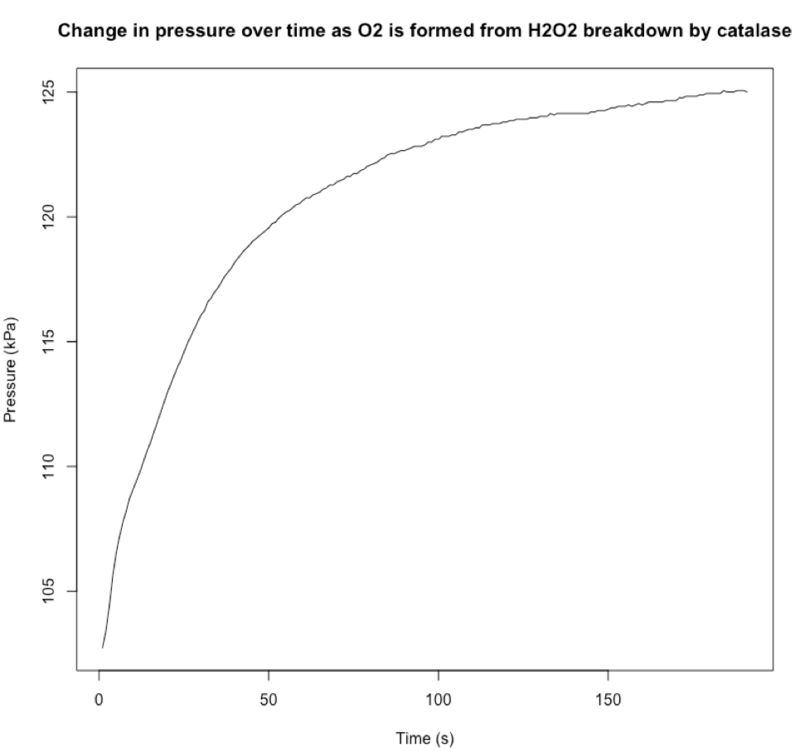 Have you got data for different concentrations of hydrogen peroxode? If so you should choose a time point that falls on the linear part of your time graph. 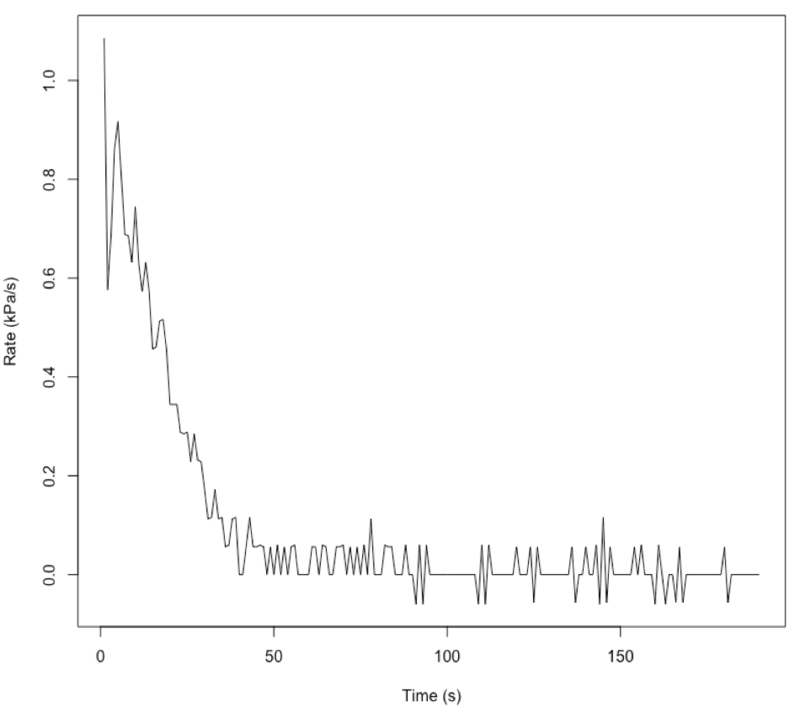 And plot the rate at that time point for each substrate concentration. That will give you a MM curve where you can calculate the values you desire. You cannot calculate them with just your time data that you have provided. Not the answer you're looking for? Browse other questions tagged biochemistry enzymes enzyme-kinetics data or ask your own question.